Q: Dena, what’s the story behind the title of your book? A: The story of Picture Not Perfect revolves around a pair of detectives finding pictures of the heroine, Melanie, at the home of her murdered colleague. Based on the pictures, the detectives believe Melanie was involved in the murder. But is this the truth? They say every picture tells a story. A picture may tell a story, but that doesn’t mean the story it tells is the truth. I, therefore, took the saying "Picture Perfect" and turned it a bit around to Picture Not Perfect. 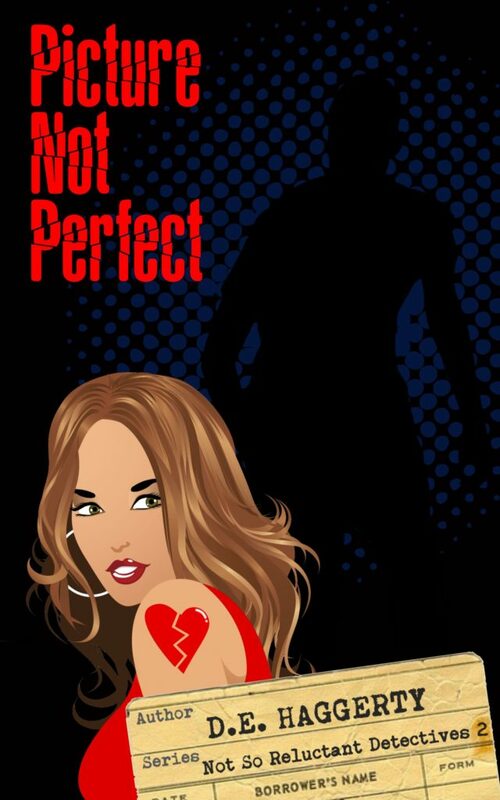 A: Picture Not Perfect is the second book in the Not So Reluctant Detective series. All books in the series are standalones. They don’t need to be read in order. The series revolves around three friends, Terri, Melanie, and Pru, who all somehow find themselves in the middle of murder investigations. A: Home is currently The Hague in the Netherlands. A: I grew up in Wisconsin, but since I left at the age of seventeen and decades have since passed, Wisconsin no longer feels like home. Q: What do you love about where you live? A: I love how international the Hague is. I can literally hear five different languages while shopping at the corner store. This lends itself to some great cultural opportunities as well. Cultural fairs, speakers, exhibitions, etc. Q: What is the most daring thing you've done? A: I snuck off and joined the military. Huh. I’m not sure if that’s the most daring or the most stupid thing I’ve ever done. Q: It's amazing how often those two go hand in hand! How did you meet your husband? A: I met my husband while I was stationed in Heidelberg, Germany with the US Army. He was with the Dutch military, and we were both seconded to NATO. My girlfriend was actually interested in him at first. I arranged an introduction, but she said he was too short for her! I didn’t mind how tall he was. He made me laugh. Q: If you could only save one thing from your house, what would it be? A: I have a box of important stuff. It has everything in it from my baptism outfit to pictures to report cards to my discharge papers from the military. Q: What’s one of your favorite quotes? Q: What would your main character say about you? A: I think Melanie and I would get along smashingly. She’d probably say I should read less and go to yoga class with her. Not going to happen. Q: I hear you! One of your characters has just found out you’re about to kill him off. He decides to beat you to the punch. How would he kill you? A: I think Alfred Schultz, the murder victim in Picture Perfect, would put a poisonous snake in my bed. He’s an incredibly sneaky man and very tenacious. He’d probably stalk me to find out my greatest fear (snakes) and end me that way. And now, I’m glad I managed to kill him off first because that’s just plain mean! Q: Those are the best kinds of characters to kill off! What book are you currently reading and in what format? A: I’m reading A Gentleman in Moscow in paperback. I usually read eBooks, but the paperback was only a dollar more than the eBook. In that case, I prefer to hold the paperback in my hands. I’m loving the story, by the way. I’m addicted to Russian literature, and this book is reminiscent of those great Russian novelists. Q: What’s one pet peeve you have when you read? A: I hate inconsistencies. For example, a character claims: “We need to buy a coffee table” and in the next sentence is setting a drink down on the coffee table. What coffee table??? A: Yes! I think it’s important for all writers to have a routine. I write every morning first thing. The dog has to wait for his walk until I’ve finished a chapter in my novel. Q: Where and when do you prefer to do your writing? A: I like it when it’s dark and I’m writing in my lonesome while the world sleeps. I have a bedroom in our house I’ve converted into an office, and I do all of my writing there. The idea of writing at a coffee shop is appealing, but I’m too lazy to get out of my pjs and drag my stuff to a shop. 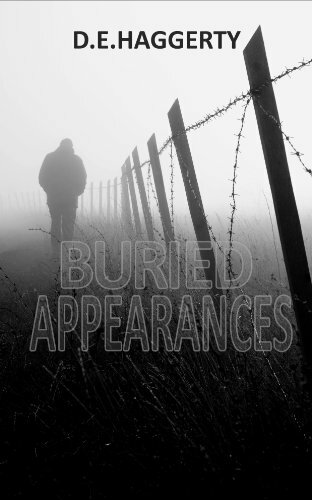 Q: What’s the best compliment you’ve ever received about your writing?A: My mother-in-law told me reading Buried Appearances was like being back in Holland during the war. Since Buried Appearances is a historical novel centered around the Second World War, I couldn’t ask for a better compliment. A: Book 3 of The Not So Reluctant Detective series. This installment of the series will feature a girlfriend of the protagonist of book 2. She’s got a secret. A big secret. I can’t wait to slowly reveal it. It’s not what readers think. Dena (aka D.E.) grew up reading everything she could get her grubby hands on from her mom's Harlequin romances to Nancy Drew to Little Women. When she wasn't flipping pages in a library book, she was penning horrendous poems, writing songs no one should ever sing, or drafting stories, which she is very thankful have been destroyed. 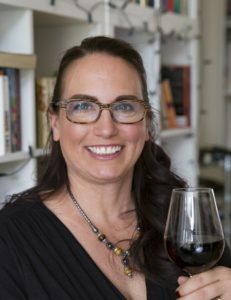 College and a stint in the U.S. Army came along and robbed her of any free time to write or read, although on the odd occasion she did manage to sneak a book into her rucksack between rolled up socks, MRIs, t-shirts, and cold weather gear. After surviving the army experience, she went back to school and got her law degree. She jumped ship and joined the hubby in the Netherlands before the graduation ceremony could even begin. A few years into her legal career, she was exhausted, fed up, and just plain done. She quit her job and sat down to write a manuscript, which she promptly hid in the attic after returning to the law. But being a lawyer really wasn’t her thing, so she quit (again!) and went off to Germany to start a B&B. Turns out being a B&B owner wasn’t her thing either. She polished off that manuscript languishing in the attic before following the husband to Istanbul where she decided to give the whole writer-thing a go. But ten years was too many to stay away from her adopted home. She packed up again and moved back to the Netherlands (The Hague to be exact) where she's currently working on her next book. She hopes she'll always be working on another book.